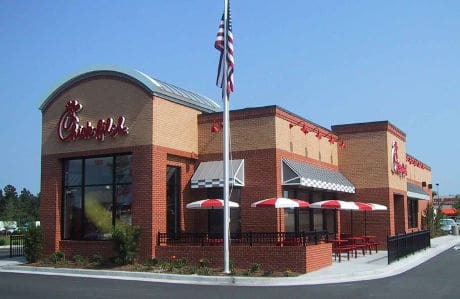 Fast food chain Chick-fil-A has begun a mobile payments pilot in the Triad area of North Carolina. Twenty restaurants are taking part in the trial and the chain plans to expand the test to further markets later this year. To participate, customers download a free iOS or Android app, register for an account and link a credit or debit card that they use to load funds into a prepaid Chick-fil-A account. To make a payment, customers click on a ‘pay’ button on their phone to display the QR code for their account. The server then scans the QR code and the cost of their meal is deducted from their balance. Each of the participating restaurants has been specially equipped with QR code scanners for the pilot. “Mobile payment gives customers a convenient, personalised way to interact with Chick-fil-A and it helps us customize their experience and care for them personally,” says Michael Lage, manager of Chick-fil-A’s mobile strategy.